Eva Shaw, Ph.D. (www.evashaw.com) is the ghostwriter/author of 70 books, many best sellers and award winners. Under her byline, they include: Ghostwriting: The Complete Guide, Games of the Heart (a novel), Writeriffic 2: Creativity Training for Writers, Write Your Book in 20 Minutes, Shovel It: Nature’s Health Plan, What to Do When a Loved One Dies, For the Love of Children, There’s No Business Like Show Business, My Affair with Art, Insider’s Guide to San Diego, The Sun Never Sets, and more. 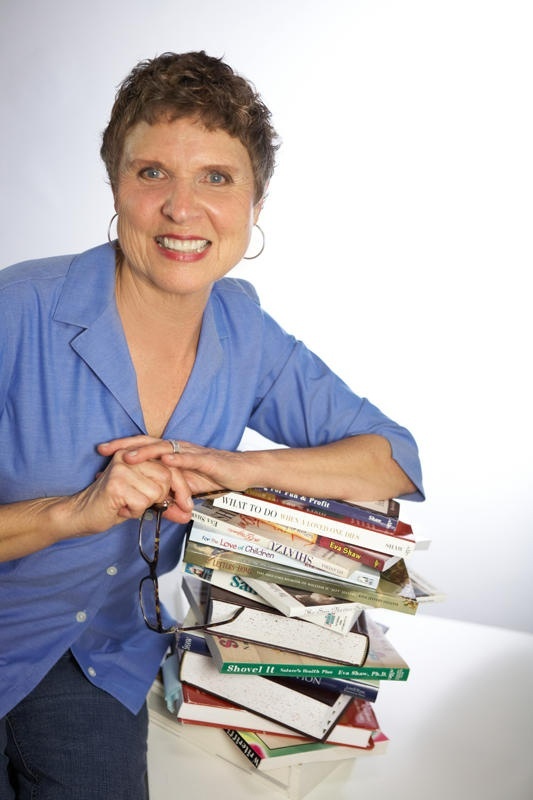 Eva’s work has been featured in publications such as USA Today, Shape, Country Living, San Diego Union Tribune, Los Angeles Times, Costco Connection, Publisher’s Weekly, Washington Post, the Wall Street Journal plus she has ghosted more than 1000 columns, articles and short stories. She’s a regular presenter at writing conferences and teaches six different online writing courses (with Education to Go, www.ed2go.com) offered worldwide. She lives and writes in Carlsbad CA with husband Joseph and their rambunctious Welsh terrier, Miss Rosy Geranium.